Why Are My Buds Taking So Long? Why is my plant taking so long to mature? Can I make buds ripen faster? Sometimes you'll run into a situation where the buds of one or more of your cannabis plants don't appear to be maturing as fast as expected, even after you've been in the flowering stage as long as the breeder has estimated. Why isn't your plant ready to harvest yet, and what can you do about it? 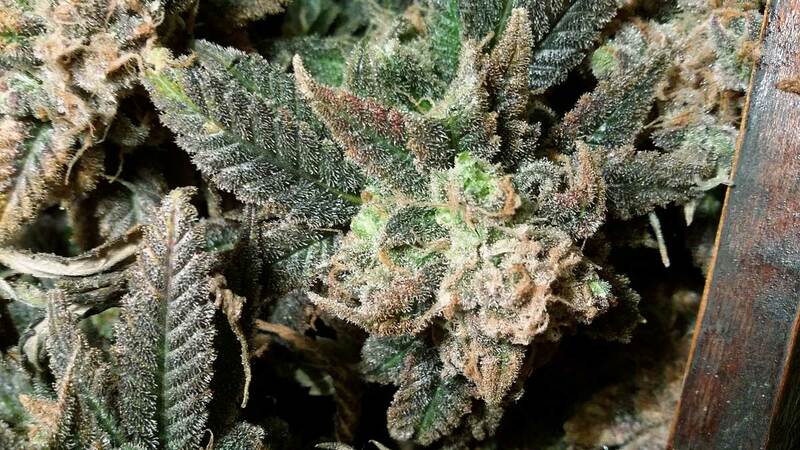 Here are some of the most common reasons your cannabis buds may be taking a long time to mature, and then I'll explain exactly what you need to do to speed things along so your buds ripen faster! Some cannabis strains or specific plants just take longer than others to finish ripening in the flowering stage, especially Sativa, Haze, and "XXL" strains (part of what makes these plants yield so much is the flowering stage just takes a lot longer). Another thing to consider is that some strains are "lazy" and their buds don't look ready for a long time, but then suddenly look mature almost overnight. I think of these end-heavy flowering plants as "procrastinators" 🙂 Make sure to keep a close eye on your plant if it's taking a while because you might be surprised to look one day and realize it's just about ready to harvest! This cannabis bud looks like it's a long ways from harvest even though it's been 10 weeks in the flowering stage – look at all those white pistils! 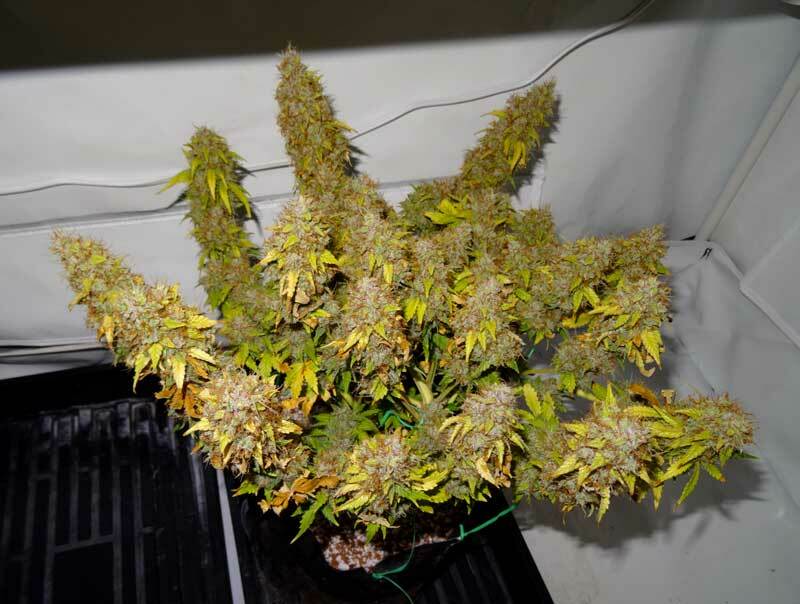 This impressive growth right before buds are mature is one of the reasons why you don't want to harvest early; you could be losing out on potency and yields when you only need to wait a few more days! Speaking of strain, has it actually been long enough? When looking at the estimated flowering time for a strain (information you can find with nearly every strain from a trustworthy seed source), remember that most breeders start counting when first flowers appear, not after the switch to 12/12. 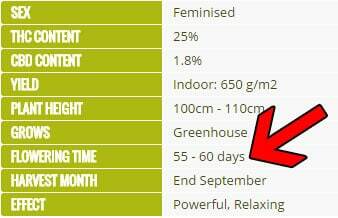 That makes sense for outdoor growers, but indoor growers should add two weeks to the breeder's listed time for a more accurate estimate. Even when doing that, in general most cannabis plants take a little longer than the breeder's recommendation to be "fully" mature. This is partially because people are more likely to buy "fast-maturing" strains. 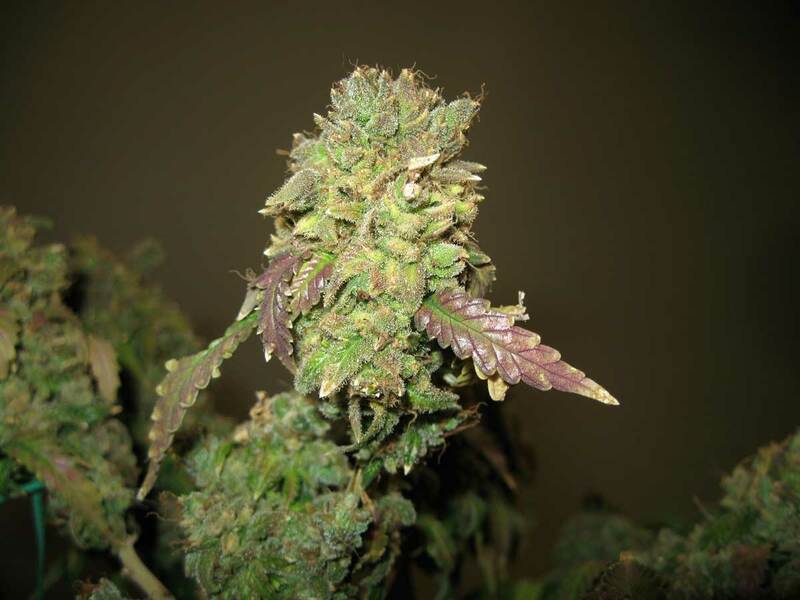 Many breeders estimate when to expect the beginning of the harvest window, because slightly early-harvested buds will do the job, even if potency and yields are somewhat reduced. High heat or very bright light levels can cause your plant to keep putting out new waves of growth as a result of stress. 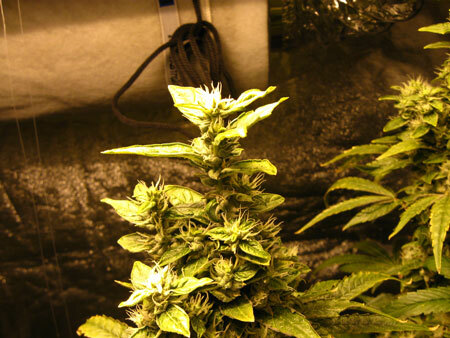 If the top leaves of your plant are starting to look yellow or burned and you keep seeing the tops of your buds closest to the lights put out more and more new white pistils or foxtails, it's a sign of possible light burn or heat burn. 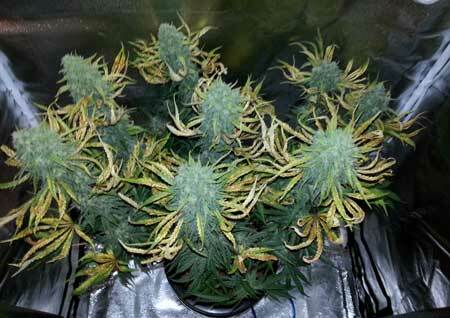 This can cause the plant to keep trying to make new, "fresh" buds that aren't getting stressed by heat or light. If you keep seeing more and more new growth on the buds closest to the lights (especially when combined with all the top leaves being yellow) it is likely a sign of heat or light stress. Buds like this will keep getting thicker and thicker on top closest to the lights. Another example of the plant making new buds in response to heat or light stress is when you see "foxtails." Don't pay attention to the trichomes on this type of new growth when determining when to harvest. 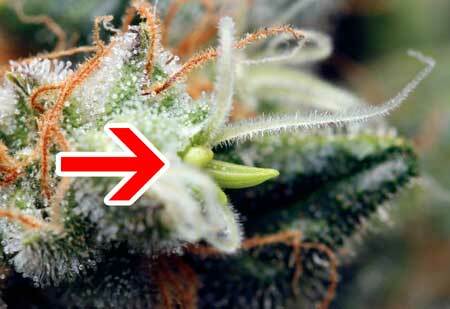 Make sure you're checking the trichomes on the sides of the buds with older growth. 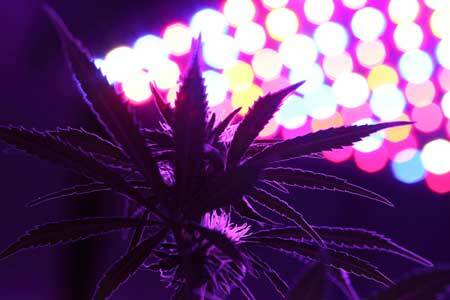 And of course make sure to fix the temps and/or raise your grow lights to prevent further damage until harvest! Some LED growers are getting odd results with flowering times, and certain plants seem to take much longer than expected for buds to mature. This seems to happen more often with auto-flowering strains though this issue can also affect photoperiod (regular) strains. At this point we're not really sure if it's just certain LED models or light spectrums that are causing this, or if it's more of a strain thing. In either case, usually you can get plants to mature faster by reducing the number of hours of light they're getting each day. One possible reason your buds may have stopped maturing is the plant is "re-vegging." This means it's reverting back to the vegetative stage in which the plant only grows stems and leaves. This happens most often when plants are somehow getting light during their 12 hour dark period. Sometimes it can take just a small amount of light to trigger the plant to reveg (for example an indicator light, or a small light leak). 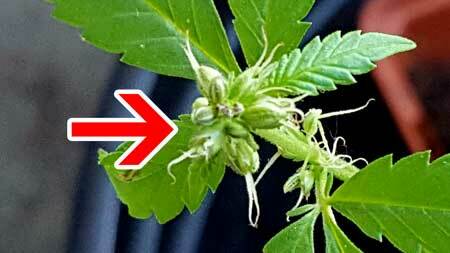 Re-vegging will cause buds to stop maturing and if the plant isn't but back into flowering the buds will turn brown and die after a few weeks. 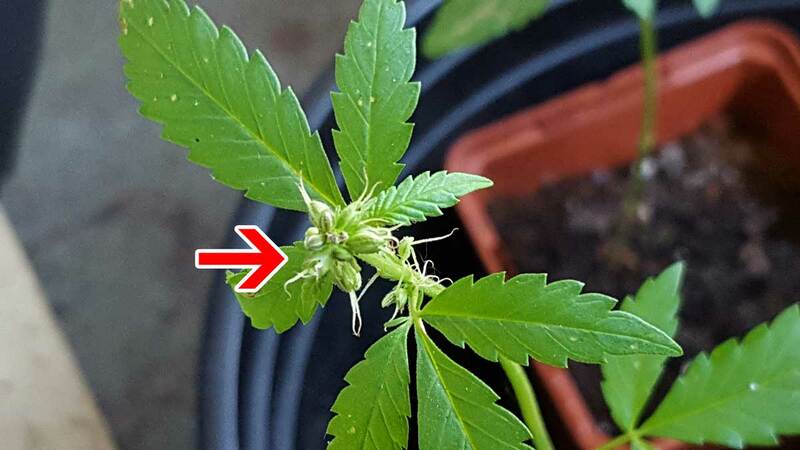 If you see new round or "smooth" leaves appearing on the buds, and buds stop getting bigger, it's a sign the plant is revegging. 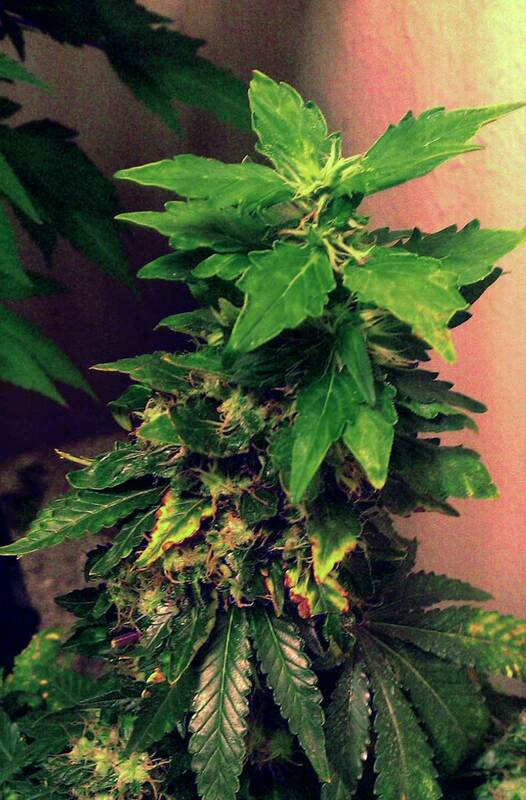 Sometimes an extremely stressed plant may show similar symptoms. How can you tell the difference? In the case of heat/light stress your plant puts out lots of new foxtails/buds, while a re-vegging plant stops making new buds or fattening the ones that are there. In this example, you can see the strange leaves are appearing on new buds/foxtails. 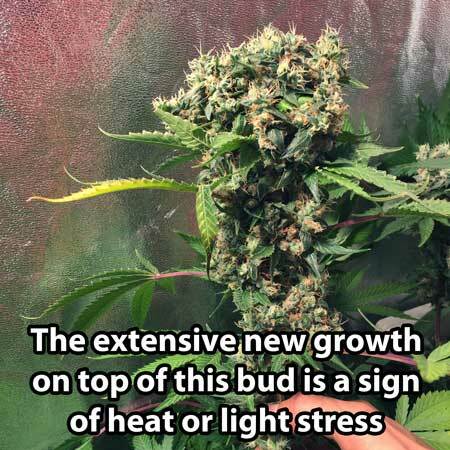 If you're seeing the plant make lots of new, strange looking buds, it's most likely actually heat stress or light stress because a re-vegging plant doesn't make new buds. These are more like out-of-control sugar leaves. Make sure you're looking in the right places. Check the trichomes only on buds, not any of the leaves including the small sugar leaves. If plant keeps putting out new white hairs over and over, check the trichomes on the sides of the buds where the older growth is, instead of looking only at new growth. Ignore trichomes on leaves because it's the buds you want to harvest on time! Here are several tips and tactics you can use to make your buds mature faster, so you get to harvest sooner! When the plant is getting less light each day, it "thinks" winter is coming. 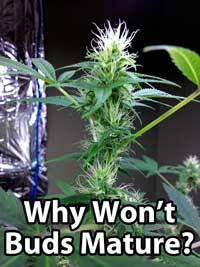 This is why giving a plant 12 hours of darkness a day causes it to start flowering. However, some strains (especially sativas and hazes) tend to take a long time to finish maturing. 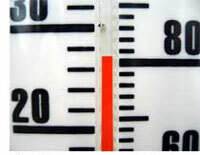 In this situation, shortening the day period will help plants mature faster. For example you could try switching to a 10-14 schedule (10 hours light, 14 hours of complete darkness) or even 8-16. If you have an auto-flowering strain that is not maturing, try switching from the standard 18-6 schedule to a 12-12 schedule just like non-autoflowering cannabis plants. The longer nights can help encourage plants to finish flowering sooner if you have one that's taking too long. Important Note: Reducing light hours means less buds. Switching from 12/12 to 14/10 shouldn't make a significant change, but it's still something to consider if you're making that decision. 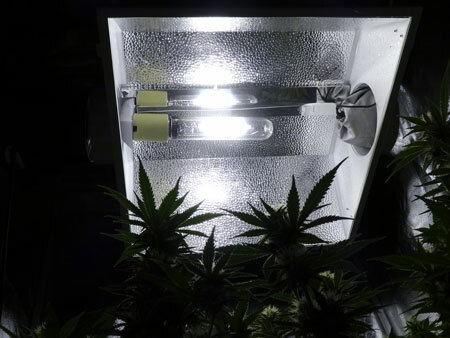 This may seem simple, but double check to make sure plants are getting total darkness during the dark period, without any sources of light touching any part of the plant. 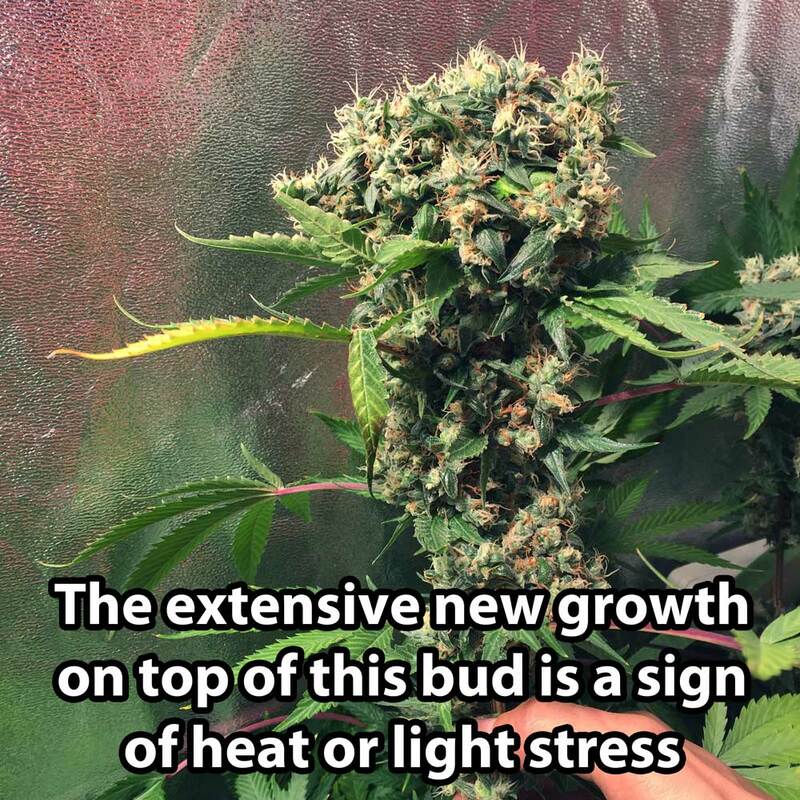 Sometimes you may find that there's a light leak or other source of light that you didn't realize was there, and that can prevent buds from maturing properly. It doesn't take much light to interrupt your plant's night period, make sure it's completely dark in the grow room when lights are off! Some growers believe lower temperature and reduced light levels can make plants ripen faster by simulating the fall. Another method some growers use to increase trichomes and possibly speed up maturation is to lower the humidity below 40% RH, which may also help imitate cold, dry winter weather. There are supplements you can give your plant that many claim will actually help boost the level of maturation, though this hasn't been proven. These supplements include Kool Bloom (dry version) and Terpinator. 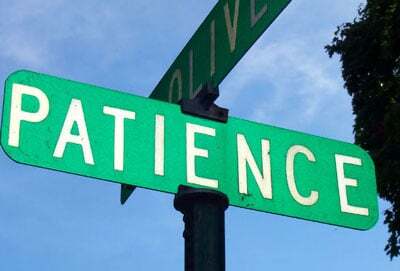 Unfortunately sometimes you just have to wait, but you will be rewarded! Harvesting on time increases potency, and the bright side of buds taking longer is you usually end up with significantly bigger yields because buds get more time to bulk up! When determining when to harvest your cannabis, you can visually inspect the plant, but the best way to ensure the highest level of potency in your buds is to look at the trichomes/glitter on the buds themselves. 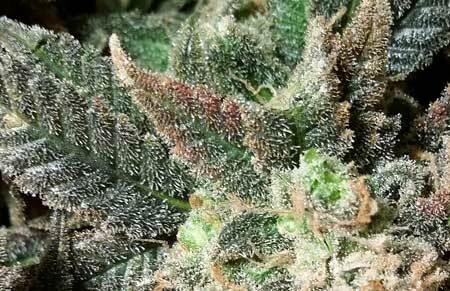 When the buds have reached the highest levels of THC, the trichomes will have mostly all turned white and milky looking. 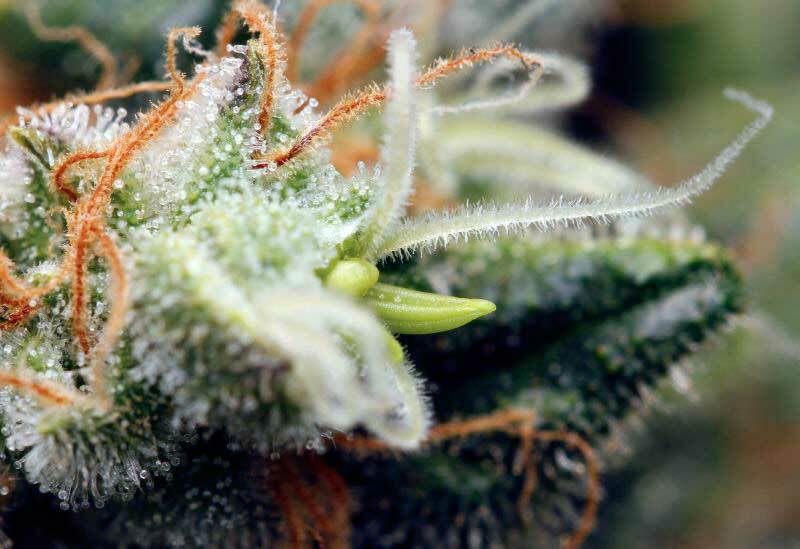 This means you can check the trichomes under a magnifier to ensure the highest potency when you harvest (learn how here). However, there are times when your trichomes might not look 100% ready under a magnifier, but you should still harvest them anyway. Keep scrolling for pictures! Don't forget to check out the full tutorial on when/how to harvest your buds with even more pictures and information! When buds start to appear toasted or are becoming brown in spots, it's time to harvest even if the trichomes don't look right quite yet. In the wild a cannabis plant germinates in the Spring, lives its whole life, and dies by the end of the year. It is designed to make buds and then perish. 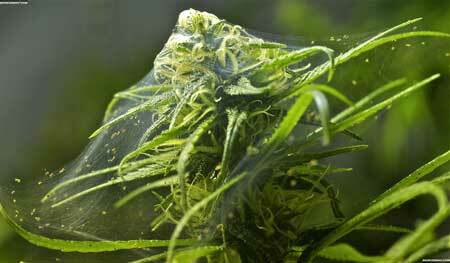 Once a cannabis plant has stopped "living" you won't really be able to get more growth out of it. 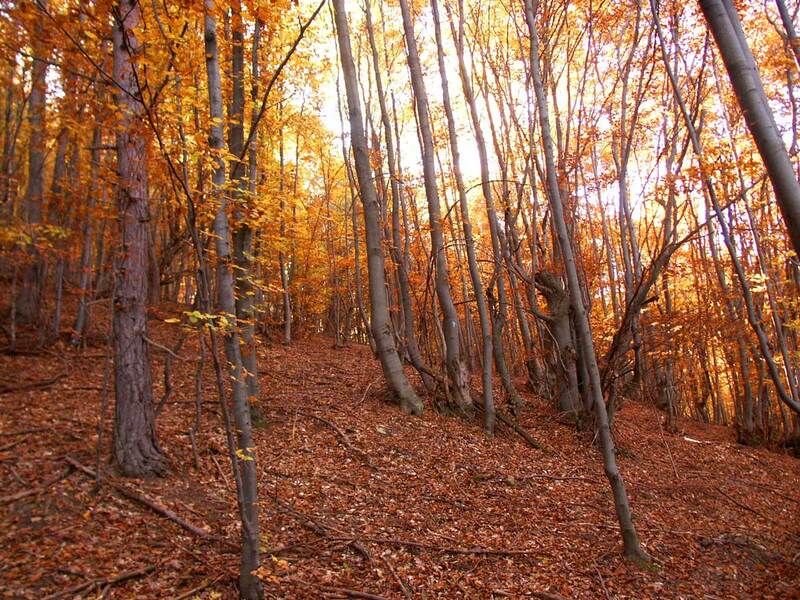 If you've burned off or otherwise lost all your leaves and sugar leaves, take the plant down. 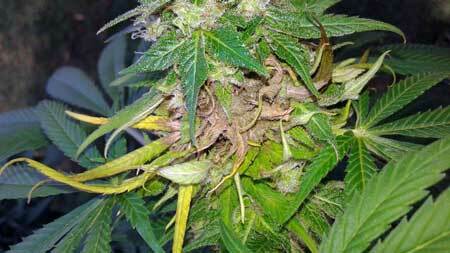 Your buds won't fatten up without any green on the plant, but buds may start to get discolored or otherwise damaged. 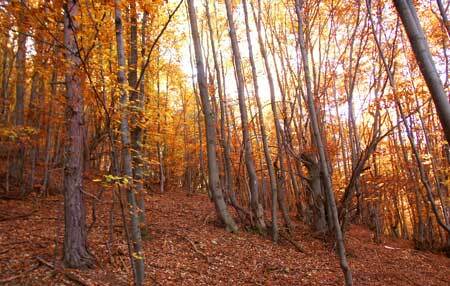 No Green Leaves Left – Ready to Harvest! If a marijuana plant has completely busted out with hermie pollen sacs or bananas, you might consider harvesting immediately so it doesn't self-pollinate or pollinate your other plants, which causes seedy buds. Be very, very careful moving a hermie plant if there are other plants in the room, and realize that even if you can't see any, pollen may have contaminated your grow room! Pro Tip: GENTLY cover the plant in a plastic bag before attempting to move it. This will contain most pollen if any escapes. If you've been affected by bud rot, I highly recommend taking down buds immediately. Do it the same day if you can! 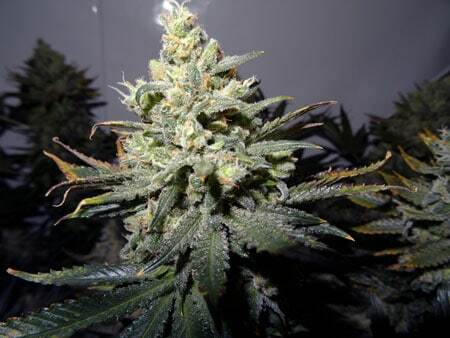 You don't want bud rot to spread, and once its hit one cola it can get others overnight! 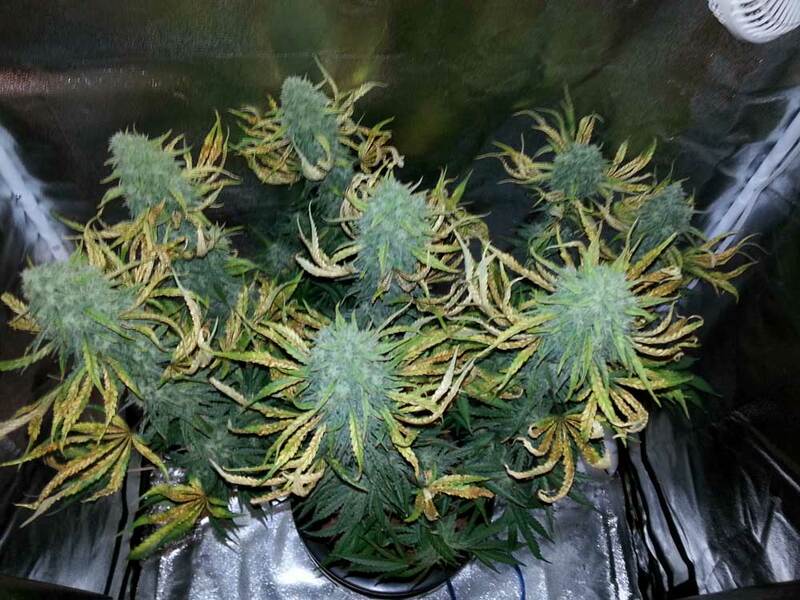 Although it's not ideal to harvest plants on the early side, a good dry and cure will help make up for an early harvest. It's way better to harvest a little early than to lose your crop! 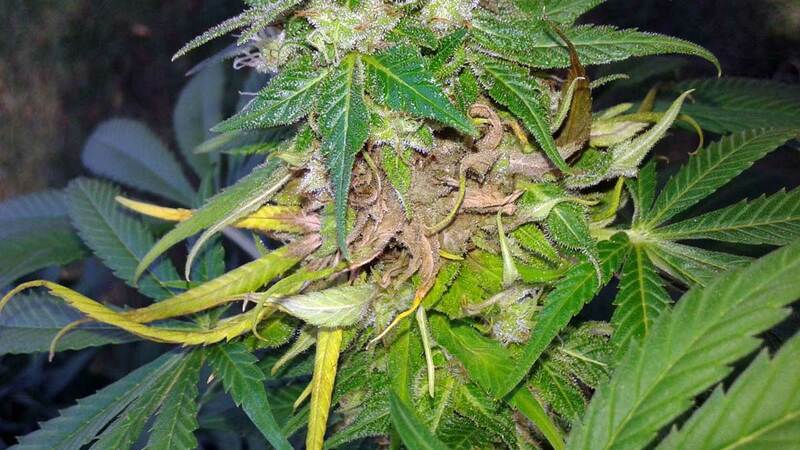 As an outdoor grower it can be a good idea to take down plants if you have dense buds and you know it's going to be cold and rainy/humid for a few days – those are prime conditions to create bud rot which can ruin a whole harvest! 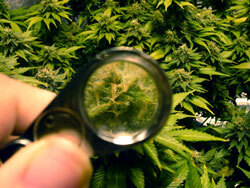 Learn about bud rot and how to prevent it! If you see bud rot, don't wait; harvest all your plants immediately! If your plant is within a few weeks of harvest, but has gotten infested by bugs which you can't seem to stop, I recommend taking down your plants and salvaging what you can as opposed to treating the plants with potentially harmful pesticides (which can get on your buds). You can safely make hash out of buds you may not want to smoke for whatever reason.